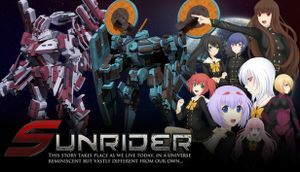 Sunrider: Mask of Arcadius is the second game in the series, and includes all of Sunrider: First Arrival. Non-16:9 resolutions are automatically pillar/window-boxed. 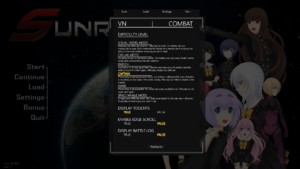 Fonts are optimized for 1080p and may be too small at higher resolutions. 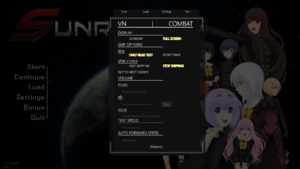 Zoom in/out with scroll wheel. All assets are prerendered or hand-drawn sprites, and are already antialiased. Battle speech is not subtitled.